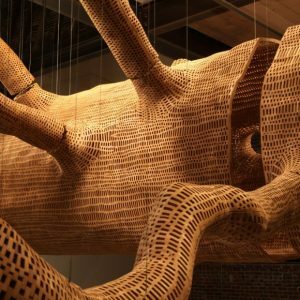 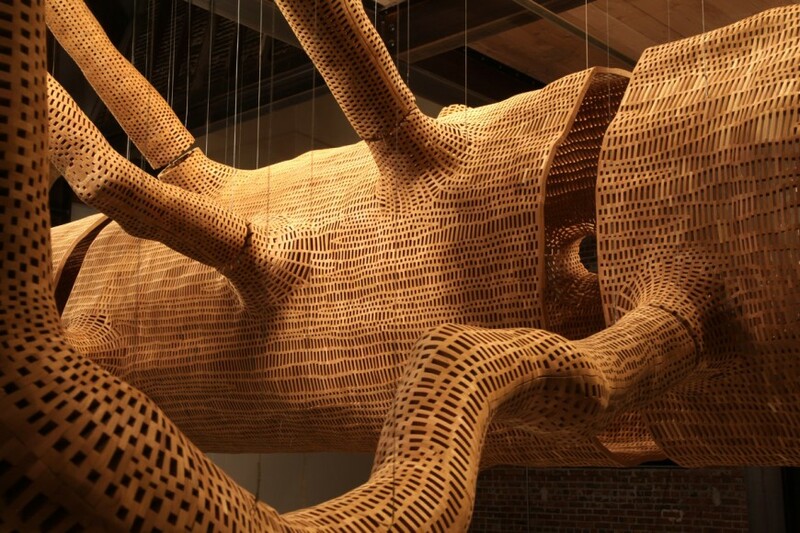 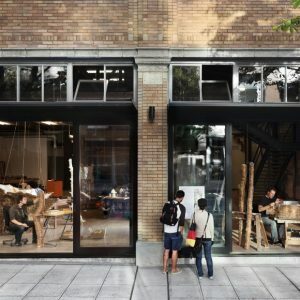 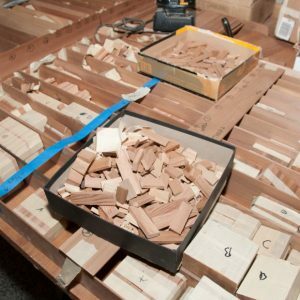 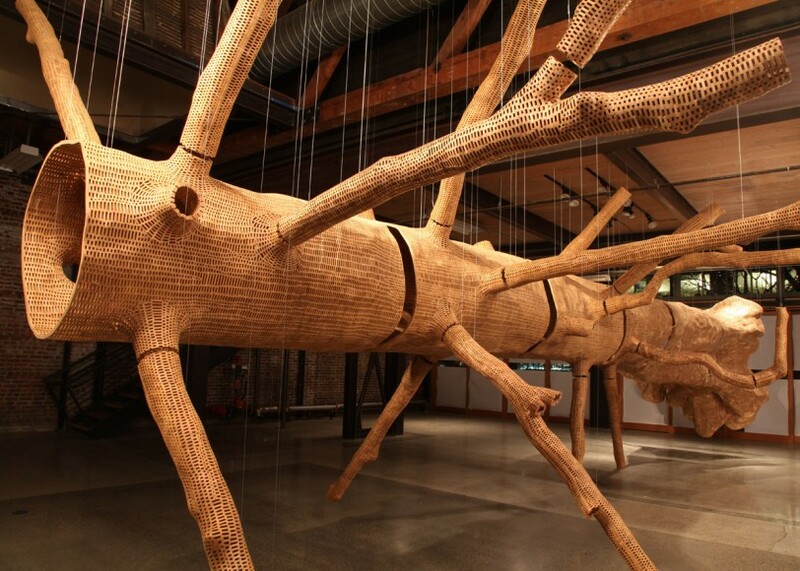 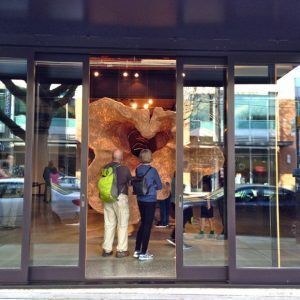 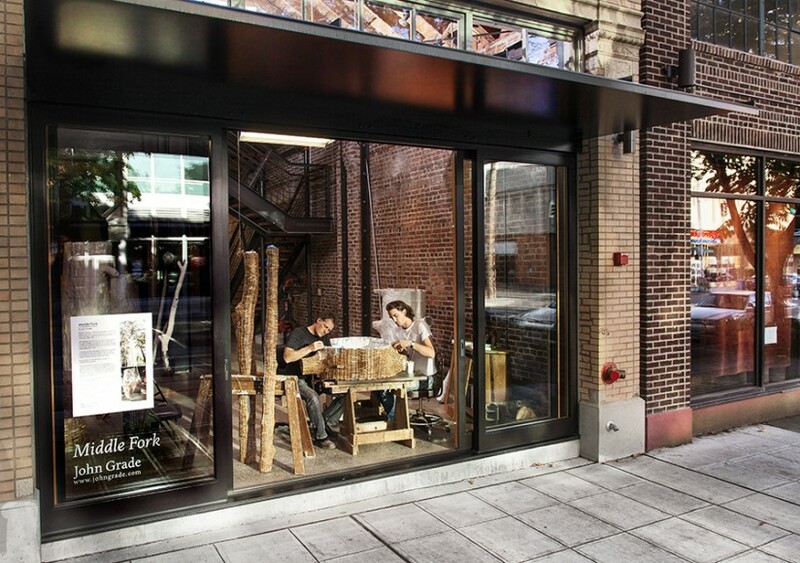 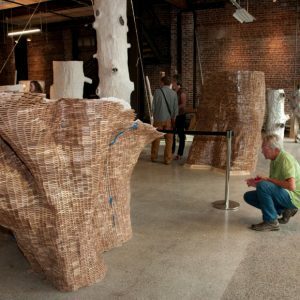 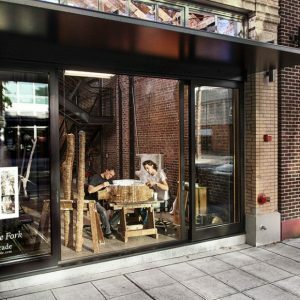 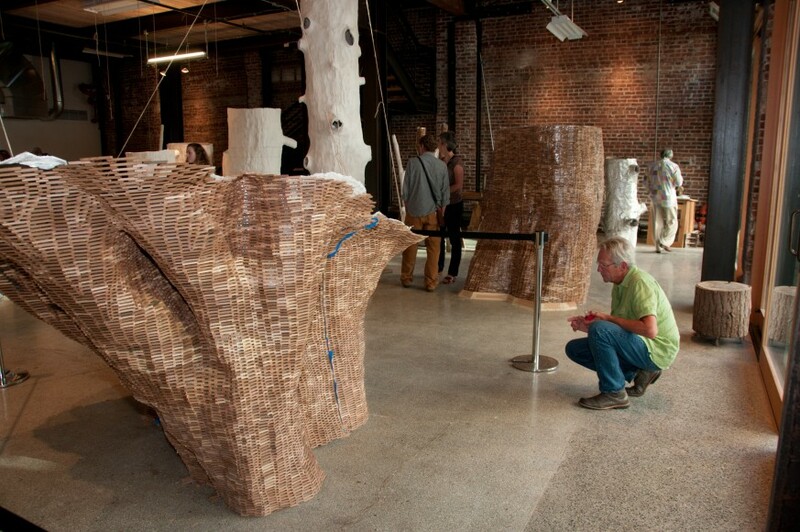 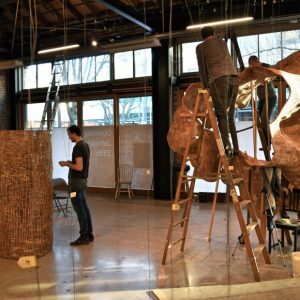 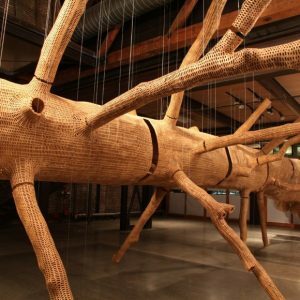 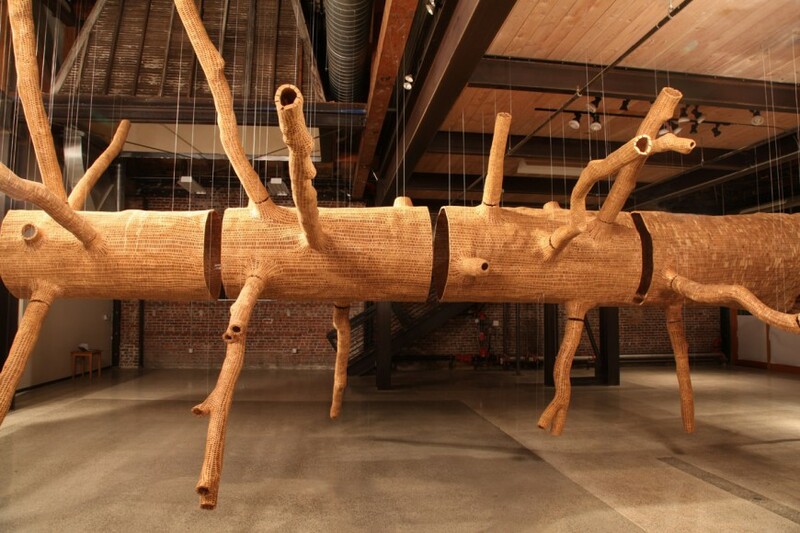 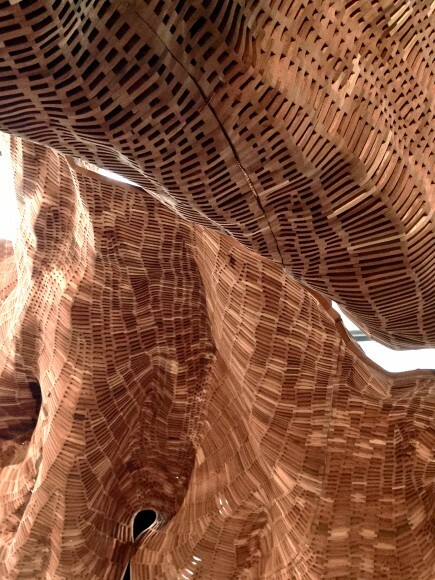 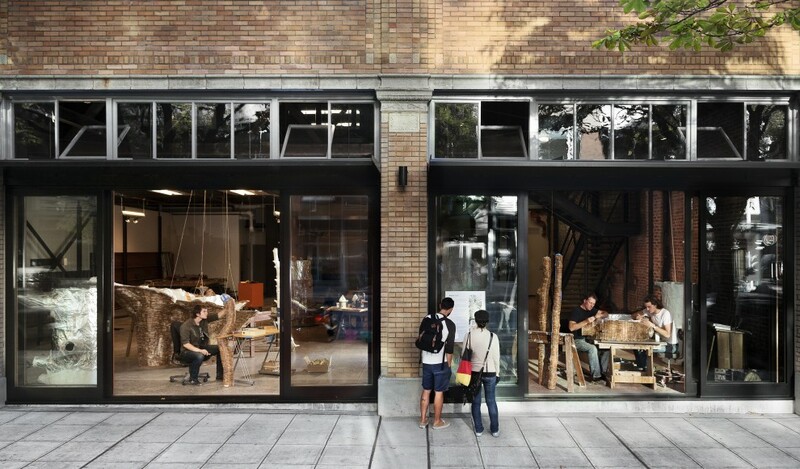 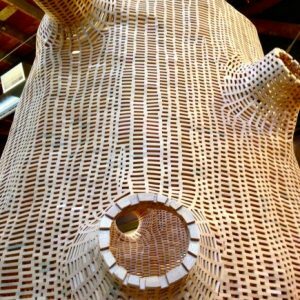 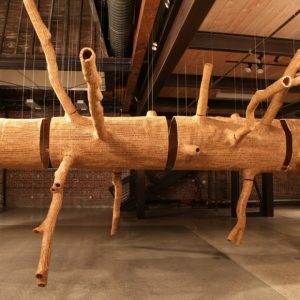 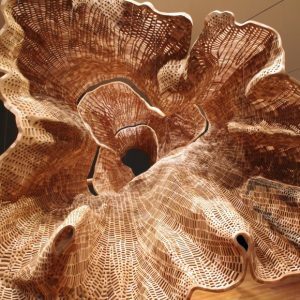 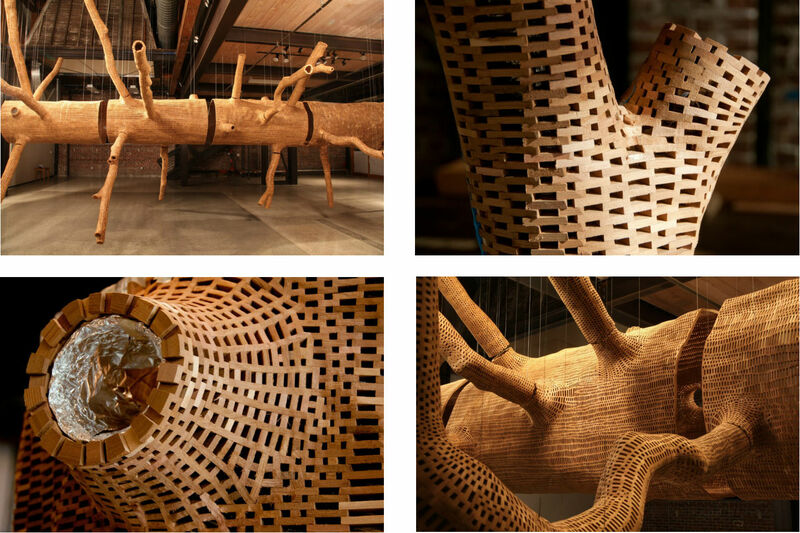 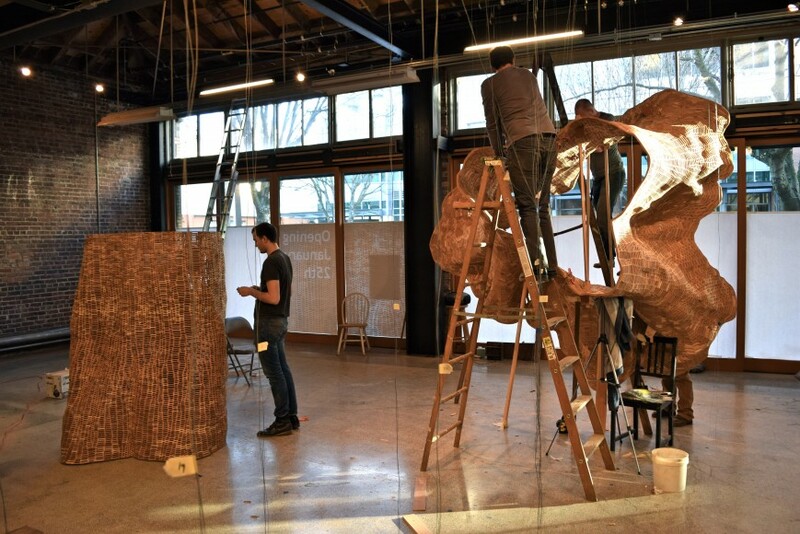 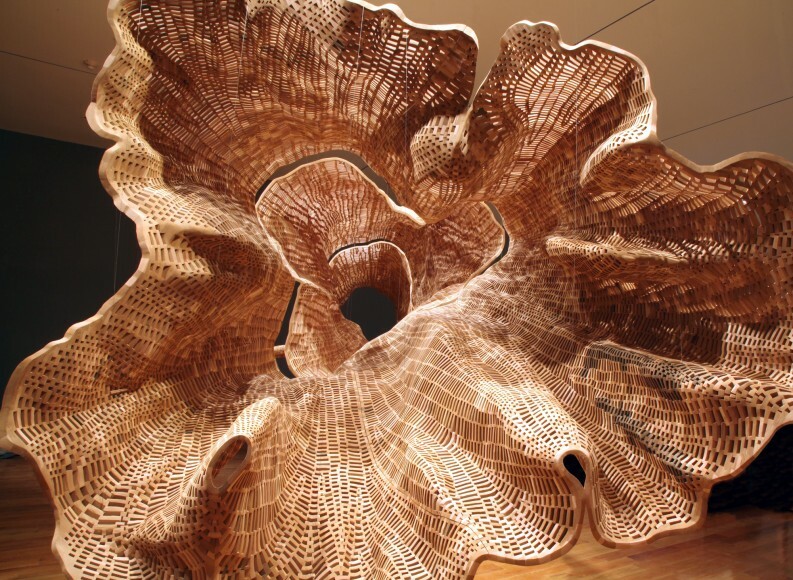 Artist John Grade has brought the form of a giant 140-year-old Western Hemlock tree from North Bend, WA inside Seattle’s MadArt, an art space that specializes in exhibiting large-scale installations by emerging artists, and generating community involvement in the arts. 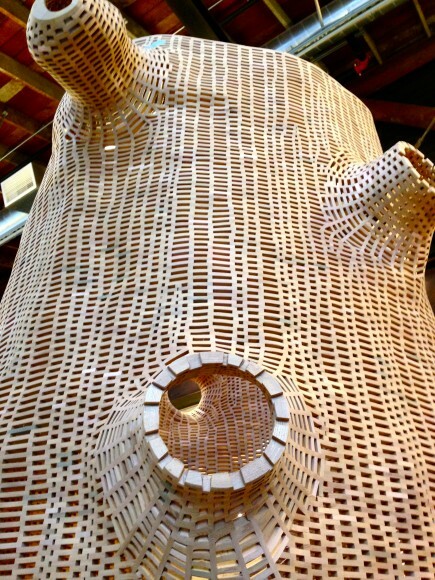 One year ago, Grade and his crew scaled the massive tree with the help of a team of arborists, going 90 feet up into the air to take sectional plaster casts of its body for two weeks. 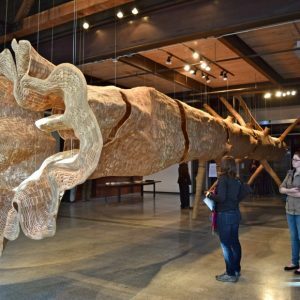 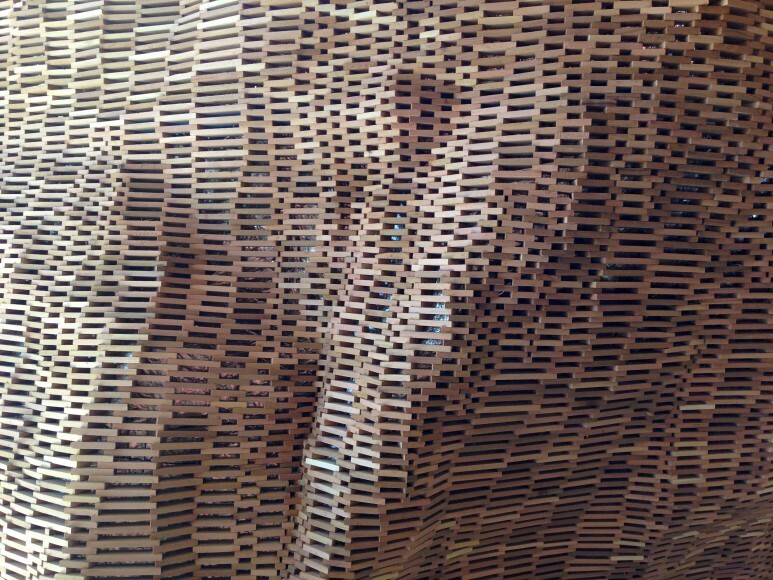 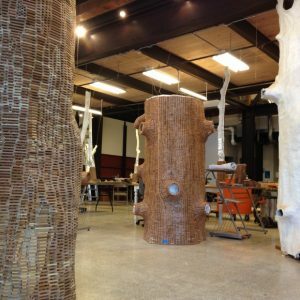 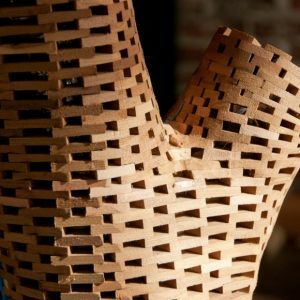 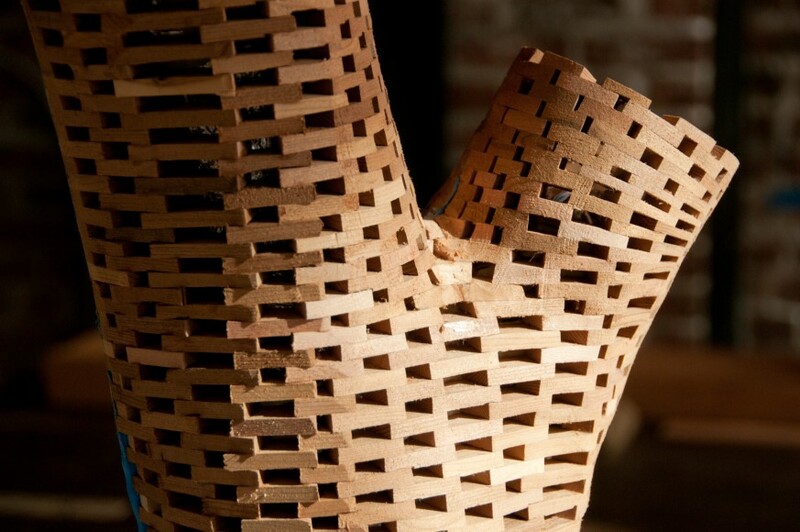 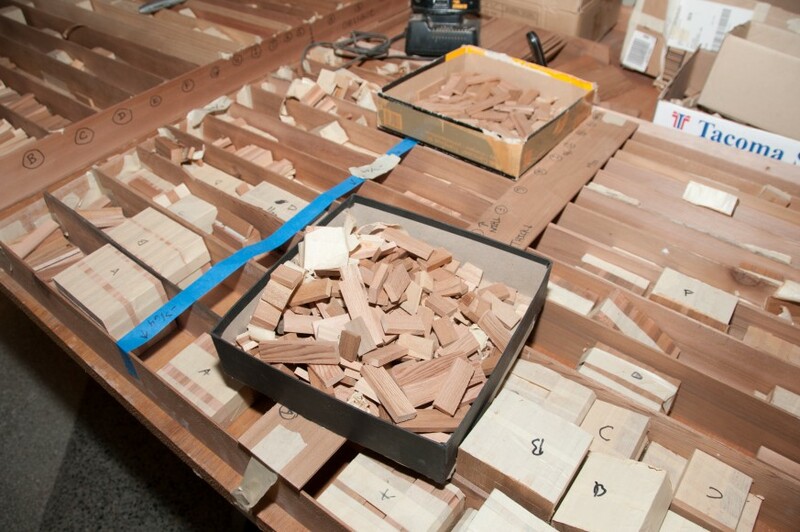 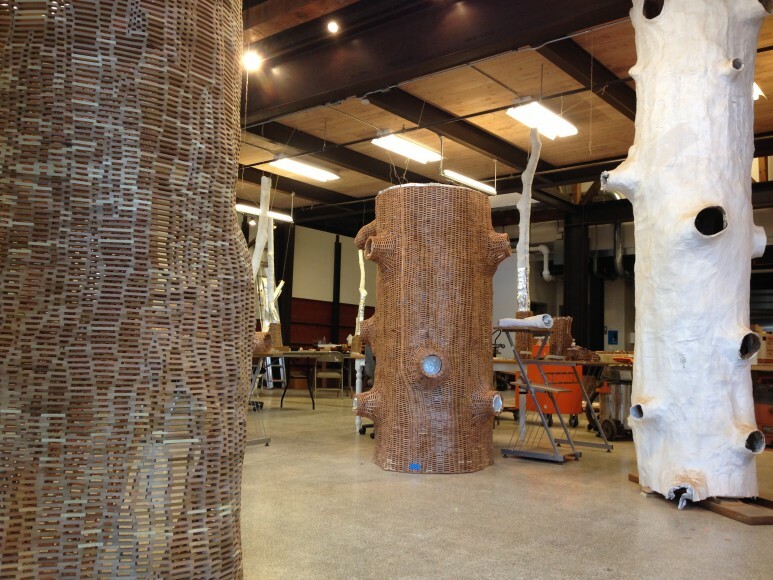 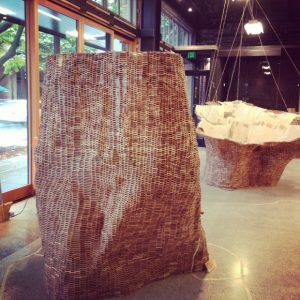 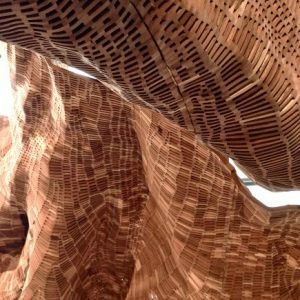 The pieces were transported to the MadArt space, where hundreds of volunteers came in to help build “Middle Fork,” the resulting hollow sculpture of the tree by piecing together thousands of small wood blocks over the course of a year. 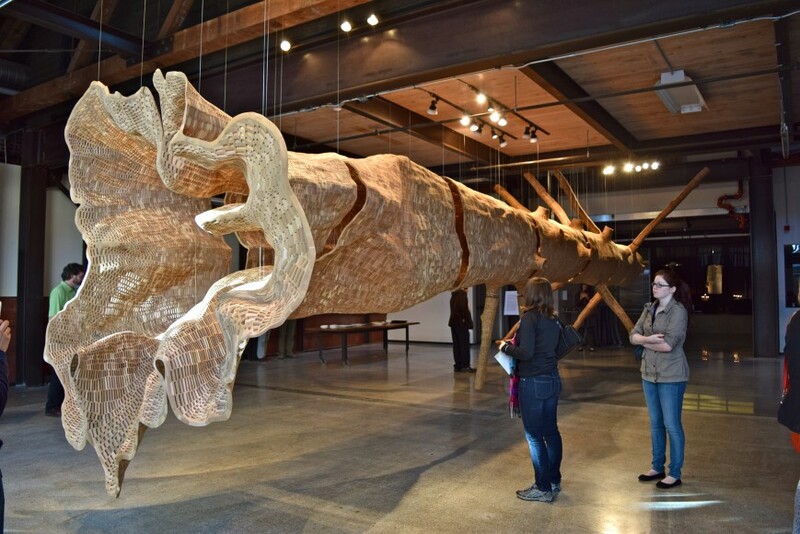 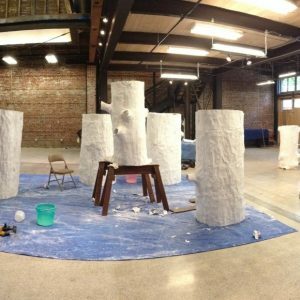 Once the sculpture was sanded down, it was hung in the MadArt gallery for the public to enjoy until April 25 when it is taken down. 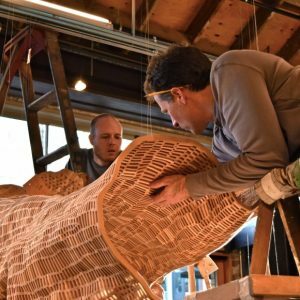 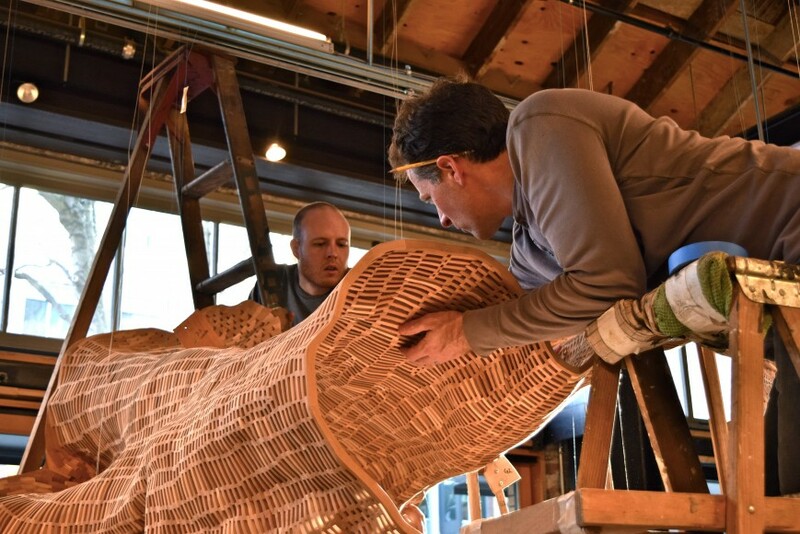 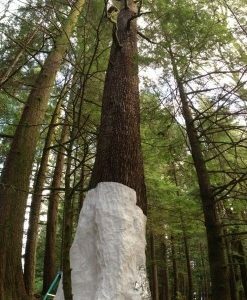 “Middle Fork” already has plans to travel around the U.S. for others to enjoy, and after two years of touring, it will be taken to the base of the Western Hemlock it imitates, where it will biodegrade and be consumed by the Earth. 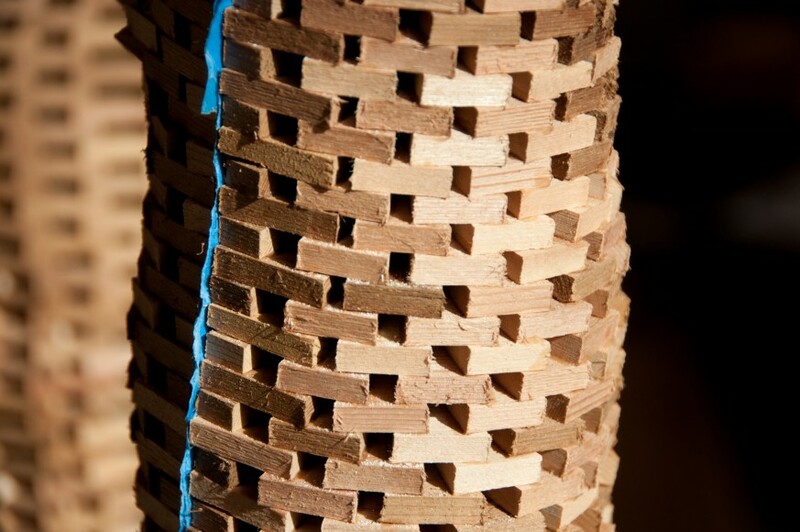 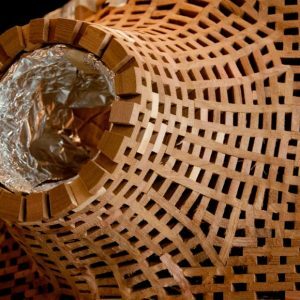 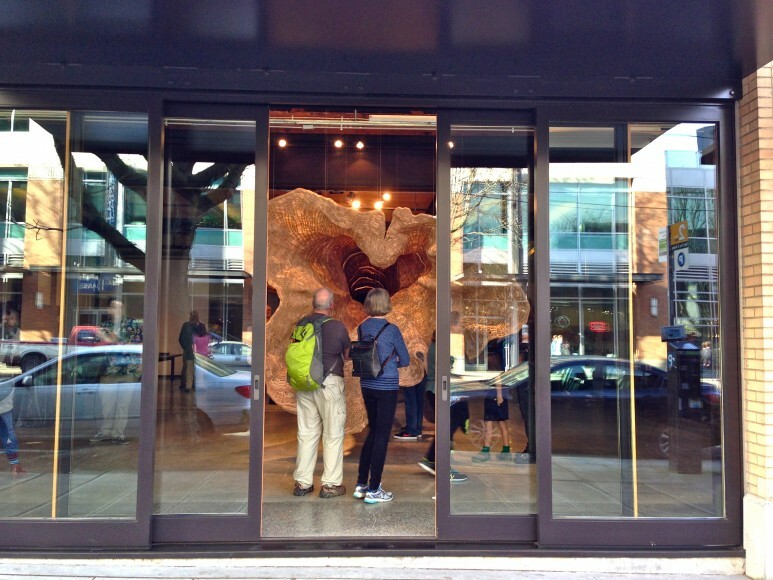 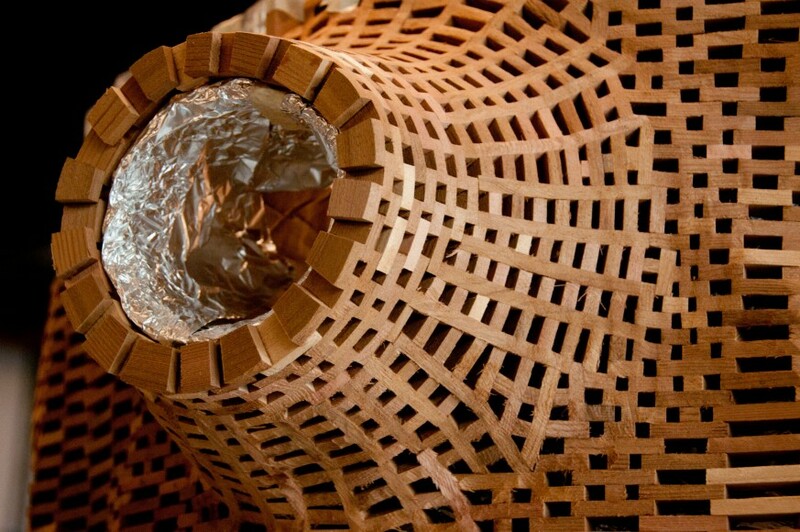 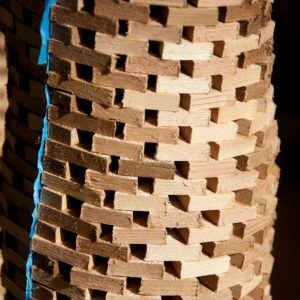 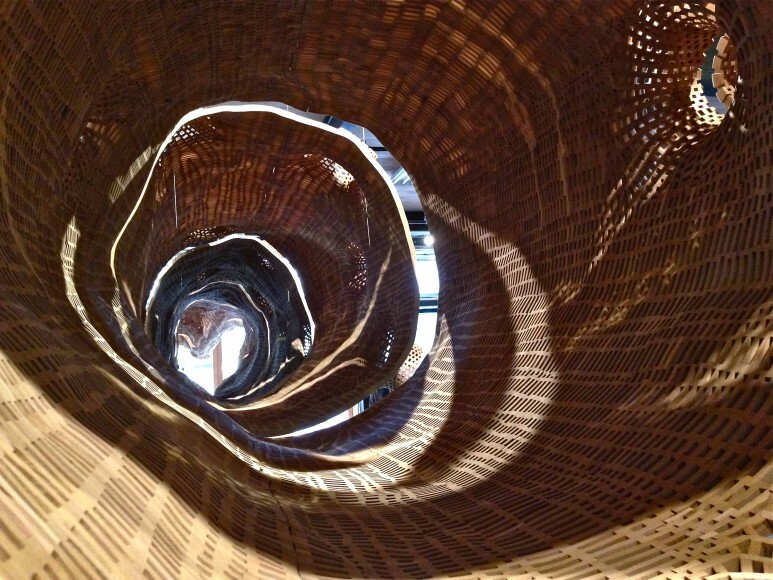 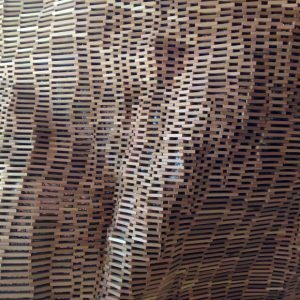 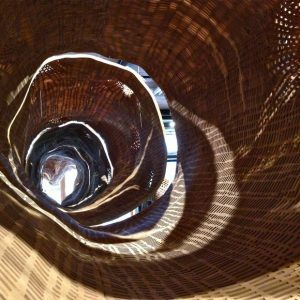 Take a look at this how this amazing collaborative piece of work led by John Grade was created both in our gallery and the video below.